Special Assistant on Public Communications and New Media to the Ekiti State Governor, has opened up on why his boss will dump the Peoples Democratic Party (PDP). While speaking in a chat with DailyPost on Wednesday, Lere Olayinka, the Special Assistant on Public Communications and New Media, to Ekiti State Governor, Ayodele Fayose, revealed that his principal will dump the Peoples Democratic Party (PDP), if Supreme Court rules that Ali Modu-Sheriff is the authentic chairman of the party. 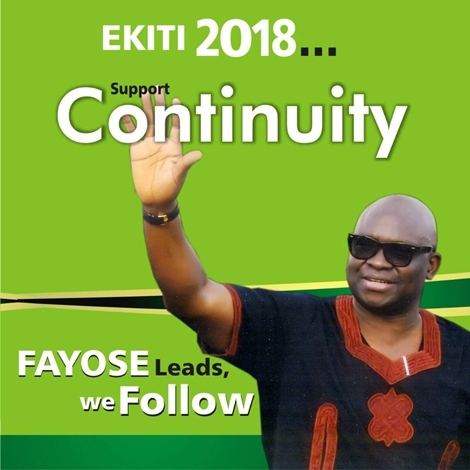 The governor's spokesman who spoke in reaction to reports that Fayose had removed the name and logo of the party from his campaign office situated in Ado-Ekiti, Ekiti state capital, also stated that the outcome of the governorship elections in Edo and Ondo states were lessons learned and enough warning to work hard to forestall defeat in future elections. Olayinka said further that Fayose has the right to channel his own political course. “The first thing is: the governor is one person among every other in the party. Don’t forget that we have elections in 2018. Most of these others don’t have elections till 2019. “You should also have a mind what happened in Ondo and Edo States. 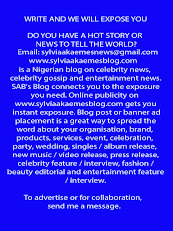 A yoruba proverb says when someone falls in a pit, others behind who see the incident learn. “We don’t have much time; we won’t wait and allow them mess us up like Ondo and Edo cases where PDP lost and Sheriff’s camp was jubilating. These people are too evil and don’t mean well for the party. “You are also aware of what happened in Delta, the House of Assembly bye election. Sheriff’s people brought someone the governor didn’t know. The governor had to move his candidate to Accord Party and Accord won that election. “So we are not going to wait for them to mess up. There are other parties that we can use in Ekiti. We will decide on one. “Even without being a lawyer, you know that the highest decision-making body in a political party is the convention; it can even decide to collapse the party. “Last year, the convention in Port-Harcout decided that this is what will happen and someone is telling us otherwise. “Our major concern now is Ekiti. What will happen at national elections in 2019 is for all Nigerians to decide. But the one that we can determine on our own is Ekiti, so we will take our chances.